David Pecker, chairman and CEO of American Media Inc., addresses those attending the Shape & Men's Fitness Super Bowl Party in New York, Jan. 31, 2014. 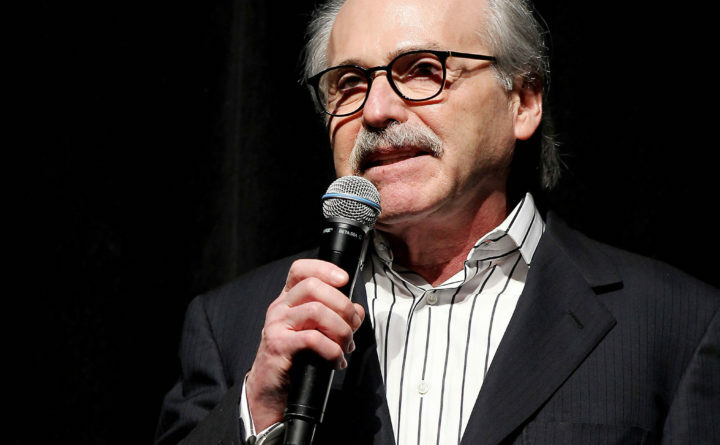 An attorney for the head of the National Enquirers parent company says the tabloid didnt commit extortion or blackmail by threatening to publish Amazon CEO Jeff Bezos explicit photos. Elkan Abramowitz represents American Media Inc. CEO David Pecker. He defended the tabloids practice as a negotiation in an interview Sunday with ABC News.